Orthodox wizards are chartered, historic, and sensible wizards. Their colleges only accept male students, but in small struggling colleges, anyone with a false beard and a sack of gold will do. It’s an open and widely mocked secret. 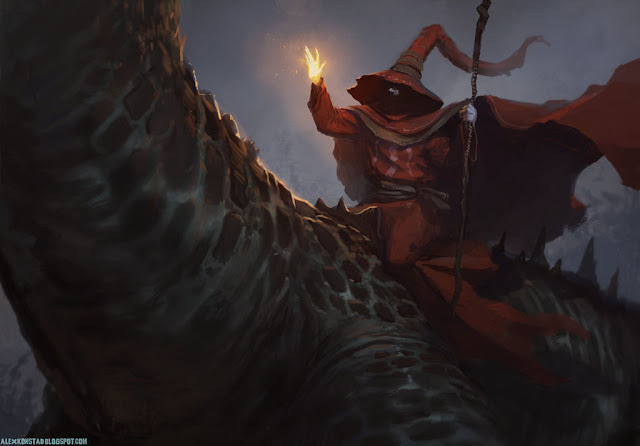 Orthodox wizards study all fields of magic, test theories, explore tombs, and fight in wars. Their red robes are famous; to many peasants, a wizard without red robes isn’t a wizard at all. You are expected to report new discoveries and spells back to your college. You are also expected to develop new spells. Should you survive and pay off your Wizard Student Loans, you may even be offered a faculty position. You might also find a position in the court of a noble, assuming you do not have ambitions above your station, and the noble is willing to tolerate the eccentricities of wizards. Perk: You start with red robes. 1. Change the colour or texture of an object no larger than a horse for 10 minutes. Having no drawback is a rarity, even if your perks and cantrips aren't very impressive. They are good classic orthodox cantrips. An Orthodox Wizard can roll on the 100 Orthodox Spell List instead of rolling on the list below. Results may vary. Non-living object closes and becomes locked. If the object is a door, chest, or similar object, it will slam shut, dealing [sum] damage to any creature passing through it and then trapping them. This spell works on things that aren't technically portals (for example, a sword could be locked in its scabbard). Requires Str 10 + [dice]x4 to open. Alternatively, this spell can be cast on a creature's orifice. The creature gets a Save to resist, and another Save at the end of each of its turns. Object is opened. Doors are flung wide, locks are broken, shackles are bent open, belts come undone. Treat this as a Strength check made with Str 10 + [dice]x4. If target is an armoured creature, Save or armour falls off. If target is an unarmoured creature, Save or vomit for 1d4 rounds. You will an object to raise, lower, or hover. You cannot move the object horizontally, and you cannot move it more than 10' per turn. Maximum weight is [dice]x500 lbs. Lasts as long as you concentrate, but you take 1d6 psychic damage per round after [dice]x3 rounds. R: 200' T: creature D: 0 Target takes [sum] + [dice] damage, no Save. As an Orthodox Wizard, your spell is unique to you, and can be any colour, shape, or pattern you describe. If you would take fall damage, you can cast this spell as a reaction to negate it. You float gently to the ground (possibly alarmingly late). Does [sum] fire damage to all objects. All the classics are represented. This school has access to some very powerful problem-solving tools, but the temptation to roll on that big 100 spell table can be overpowering. You can't go very wrong with the "basic" orthodox wizard spell set. This doom can be eating the heart of a powerful magical creature, such as a High Elf or a dragon, or by marrying one. You can also fill your brain with 4 entirely new spells that have never been cast by anyone else. 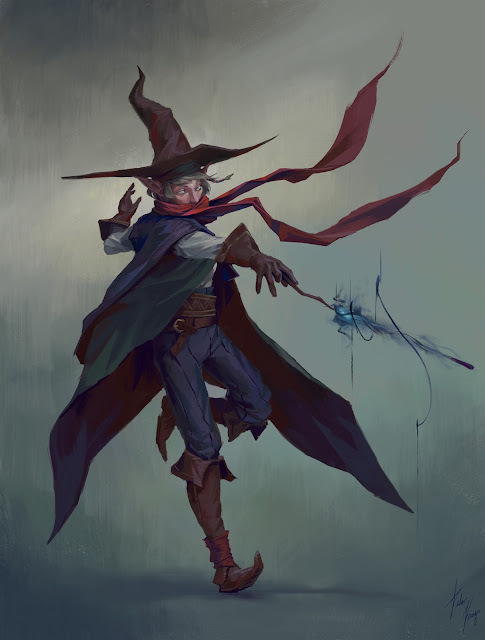 Would rival Orthodox wizards endeavour to steal the unique spells of other wizards pursuing a Doom-cure, and cast them to sabotage their efforts, or is this just poor form? It's the only way to get tenure. More seriously, if you're working on unique spells, keep them to yourself until you're good and ready, or some very senior wizards might stop by for a chat.